Various members have suggested that we hold a reunion in Frankenmuth, Michigan. and offers the same type German atmosphere. 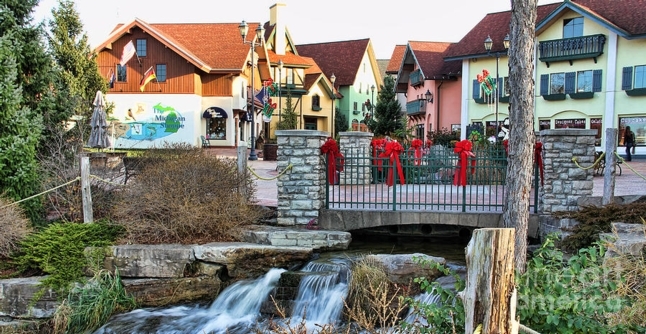 Frankenmuth is a city in Michigan, known for its Bavarian-style architecture. 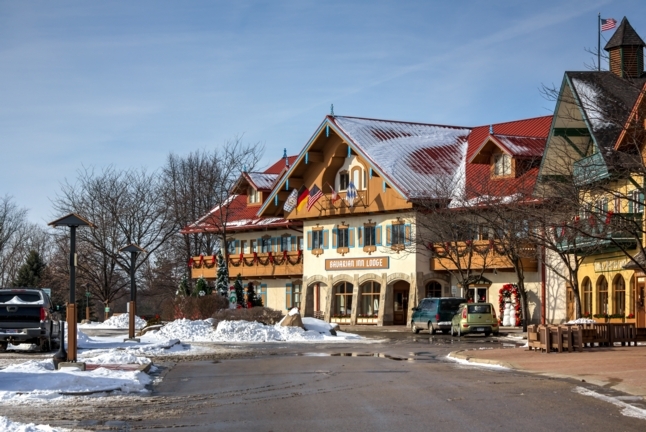 The Frankenmuth Historical Museum highlights the area’s German roots. Michigan’s Military & Space Heroes Museum displays flight gear, Medals of Honor and military equipment. Bordered by the Cass River, Heritage Park has an event pavilion and a riverside pathway. The Lager Mill is home to a museum tracing the city's brewing history. Frankenmuth festivals and events bring this quaint riverfront community alive. Frankenmuth Bavarian Festival or Oktoberfest . It's the only Oktoberfest outside of Germany to be sanctioned by the Bavarian Parliament and City of Munich. Mark your calendars for the 2019 Frankenmuth. Oktoberfest in Heritage Park, Frankenmuth, MI. Friday, Saturday and Sunday we will be open at Noon, closing Friday and Saturday at Midnight, Sunday we will close the festival at 6:00pm. Frankenmuth's Oktoberfest was declared the first Oktoberfest to operate with the blessing of the original Oktoberfest in Munich. With this proclamation, the event was moved into September to coincide with the opening of the Munich event. 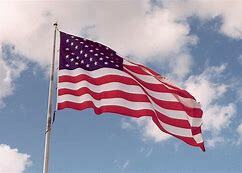 Also, for the first time in history, the world-famous Hofbrauhaus brewery of Munich exported their beer to the United States. The Hofbrauhaus became the official beer sponsor of the Frankenmuth Oktoberfest in 1997. With Frankenmuth's unique German heritage and culture, the Frankenmuth Oktoberfest strives to preserve the sights and sounds of the Munich Oktoberfest. The event features authentic entertainment, dancing, Oktoberfest souvenirs, various food selections, and authentic Hofbrauhaus Oktoberfest beer. involved in. More information will be posted soon. CHANCE OF A LIFETIME. celebration going on? More information to follow. and show these people how you celebrate Oktoberfest. *** Folks I visted this place. The best selection of German meats, cheese wine and beer. Highly recommend this place. You can also order their products on line. I will be buying a few cases of actual German bottle beer to bring home with me. Will possibly buy a couple of their German mini Beer kegs. They have the best selection I've ever seen in the USA. Plus, the owner is the Uncle of a female Army Soldier I work with on a daily basis. Small World. ** Partial list of folks. Mr. & Mrs. L. Graham ?? Businesses, please do NOT contact me with your services. I assure you, you will not appreciate my comments. If I want your services, I will contact you. Flint (Airport Code: FNT) is 30 miles south. Superb airport, but limited flights. Summer Music Fest, the Frankenmuth Oktoberfest and Frankenmuth Bavarian Festival. Located on the banks of the Cass River, behind the Bavarian Inn Lodge in Frankenmuth. & hospitality you won't find anywhere else. Heritage Park is located at 601 Weiss Street. Pavilion. Handicap parking is also available and is located across from our entrance gate.